When you bought 100 percent virgin human hair full lace wig or lace front wigs from a local store for hundreds dollars on sale and it was beautiful, that's until it began to lose a few hairs and a little tear appeared on the lace! Let's start by Shampooing and washing and let's your lace Wig air dry.When dry you could hold the lace wig up to the light to see where you've lost the most hair. After you've located the thin spots braid the other areas out of the way. Now you can begin to build up the thin areas that have loss so much hair and repair any ripped area. Things to prepare befor starting:Mild Soap And Water,Thin Needle and Nylon or Silk ThreadA Ventilation Needle And Holder. Turn Your full lace wig or lace front wig inside out, place on a manikin head. Take a small needle and some nylon thread to repair the tear. If you've lost a lot of netting you will have to make a patch to fill in the area. For this you can use a similar net fabric that you can purchase from the fabric stores. You can also cut a small piece of your neutral or flesh color pantyhose and sew it in just to fill in what you have lost now using tiny stitches sew it in place to replace what was lost and lock stitch it in with a few small knots. Using A Ventilation Needle and Holder, Use The Bulk Hair of like color follow the instruction link below to start adding the bulk hair one to no more than three strands of hair at a time. Making a lace wig is something like making a Rug piece. (If your right handed) Hold the needle in your right hand insert the needle through the hole and come back up through another hole.Next, Grab the hair in your other hand and hold in a loop. Put the hair near the needle and with the hook pull the loop through just about 1/2 inch or lesser. Once the loop is through the hole then with the needle still in place slide the needle down and again with the hook go back and grab the ends of the hair by winding the needle around the hair a couple of times and pull it through the hole to secure. Pull the hair through in the direction that you want the hair to fall in when your finished. Then repeat this until you have the thickness you desire.this will take you some time but once you learn how to do it you'll get faster and faster. Don't forget to knot each strand after you pull it through. 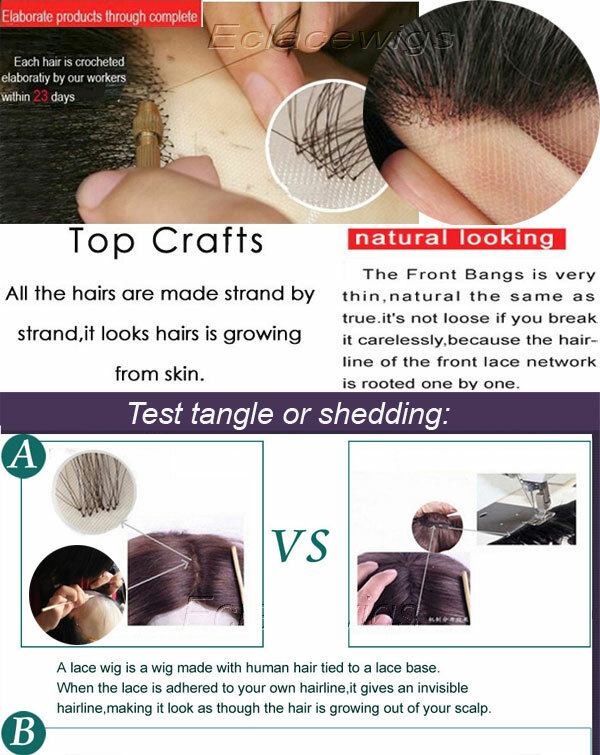 Your full lace wig or lace front wig will look as good as new or even better once you get the hang of repairing.